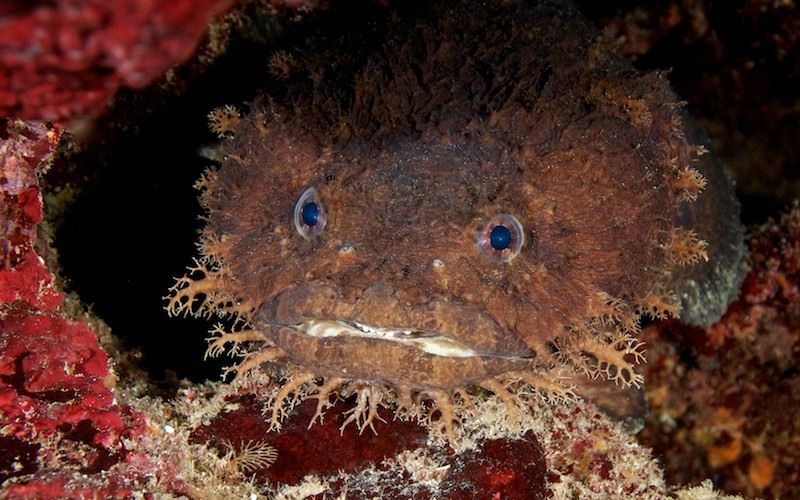 Caption: toadfish, any of about 80 species of bottom-living fishes constituting the family Batrachoididae and the order Batrachoidiformes. They are found chiefly in the New World and mostly in warm seas—occasionally in freshwater. Toadfishes are heavy-bodied fishes with broad, flattened heads and large mouths equipped with strong teeth. They grow to a maximum of about 40 cm (16 inches) and either are scaleless or have small scales. Most can produce audible grunting or croaking sounds. Toadfishes are carnivorous and sometimes bite when touched.